I suppose if I'm gonna eat like a champ, I need to exercise like one too. 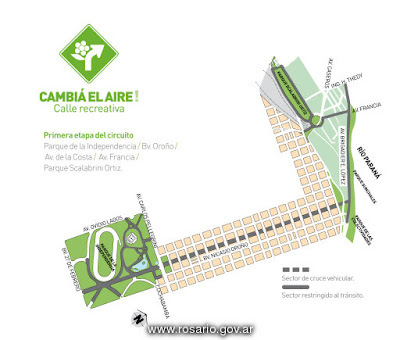 Luckily, the city of Rosario has come up with a brilliant initiative for recreation: Cambiá el aire! Calle Recerativa.